The Kay Bojesen Monkey is a beloved classic. With a prankster's look and the light coloured belly the monkey has transformed kids' rooms into jungles and sparked dreams of far-away places since 1951. On Danish television it has a permanent place as a mascot in wildlife programs, and as a prize in quiz shows. 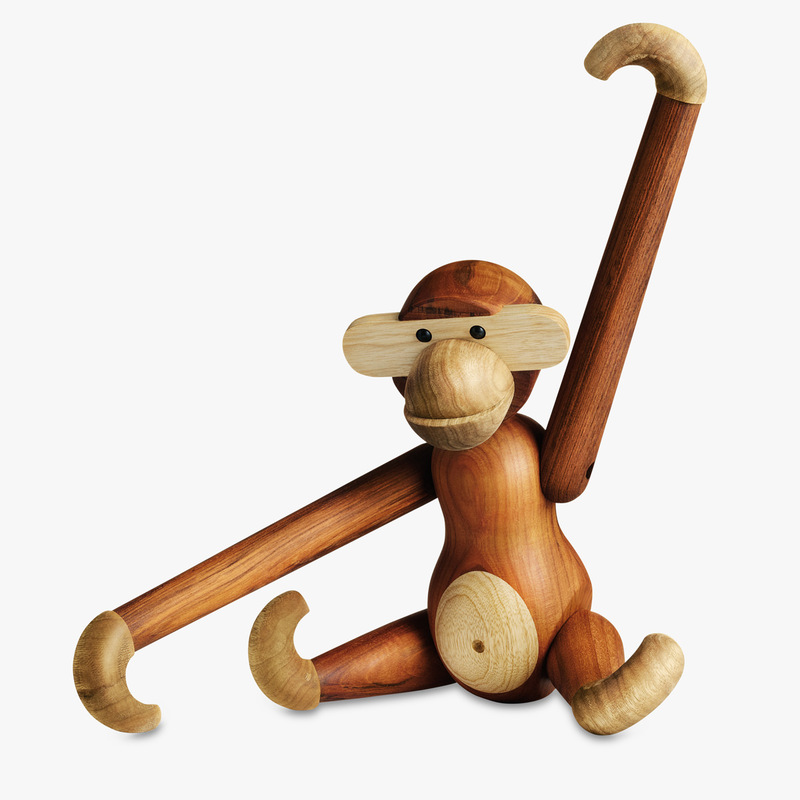 The beloved monkey follows us from childhood to adulthood through all stages of life and is a popular gift idea for those we love. He will find his way onto wish and wedding lists as well as all other kinds of special occasion. Available in small 200mm and medium 280mm sizes. To ensure the longevity of your new favourite pet, monkey repair kits are also available for purchase, please contact your nearest showroom for more information.